This is the fourth Build-A-BUG workshop in a series of five on yeast. 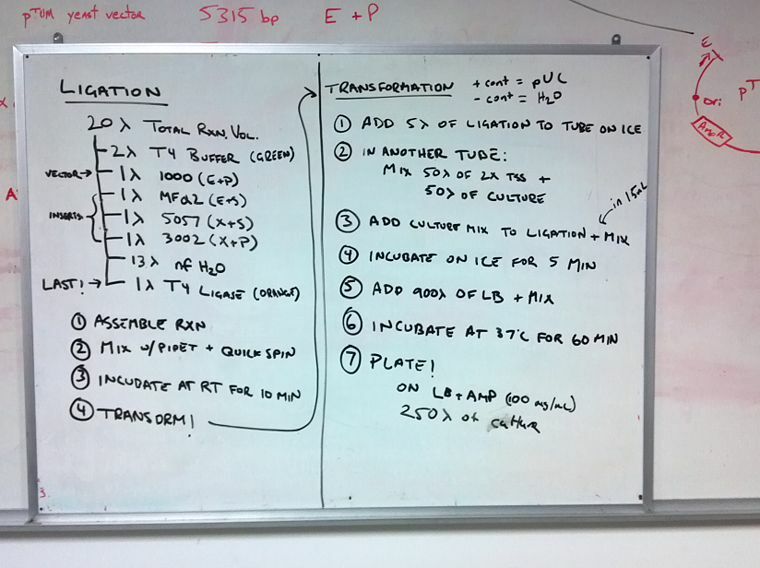 You will learn more about molecular cloning and continue to hone your basic lab techniques, while building a mating type detector. After troubleshooting an unexpected problem in Session 3, we will actually do ligations (linking DNA) and transformations of competent E. coli cells. We ligated all three inserts (MFα2 promoter, BBa_K165057, and BBa_J63002) into the vector (BBa_K801000) using T4 DNA ligase. 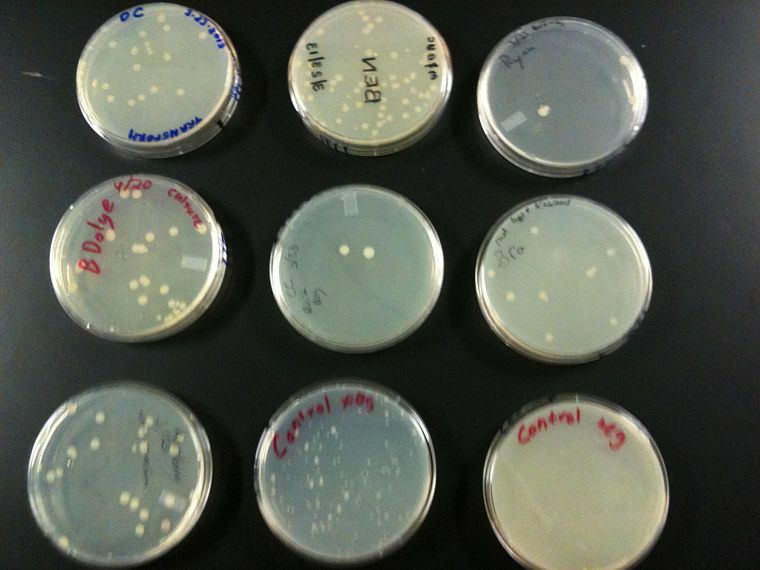 We prepared and transformed competent E. coli with our ligations, then plated on LB+Amp plates. Positive (pUC) and negative (H2O) transformation controls show the efficiency of the transformation and effectiveness of the selection, respectively. Students came in on their own after this session to screen colonies with PCR. 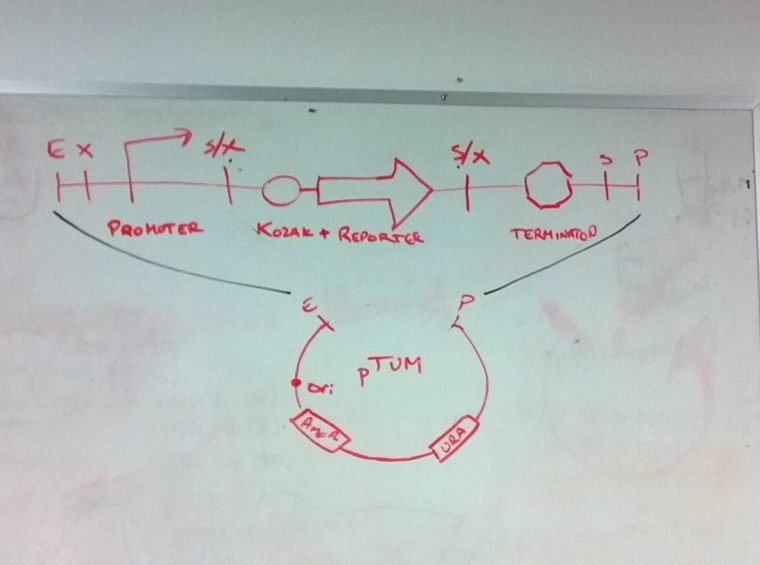 They then grew up and isolated promising construct pDNAs. This page was last edited on 3 April 2013, at 23:08.